We learn all details of your place before we design indoor playgrounds for the owner, the specification of width, length and height, where is the best location for the door, how to avoid or security the pillar. Have clear understanding of your market and requirements like terms of theme, function and elements. We will keep revising the design until you completely satisfied and love this indoor playground. Make ultimate use of your place, has the right mix of play events and activities, has the best visibility, has the best play ability and safety! Good news is we already have many theme for choice and hundreds existing design for reference, Must have similar design which suit for your place! we make list of components and material to maximize your choice on kids playground. We work closely with you to ensure the best use of your budget. Design from “Angel playground” is free! Consult now! If you choose a play structure model from our website, It is great! Or already have your playground in mind but do not see exactly the features you would like on any of our existing structures? Not a problem! With Angel Playgrounds. 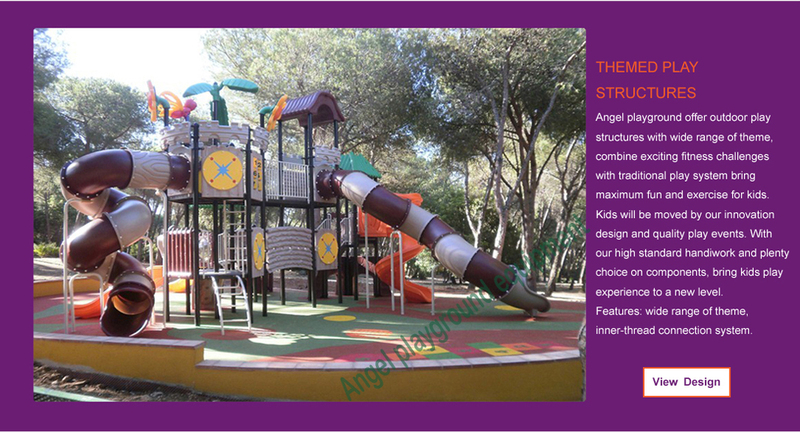 We offer fully customized play structures to fit the exact needs of your particular project. Any of our existing structures can be customized to your liking or dream up your own unique playground and we'll put it together for you. From our initial consultation, through the design process, ending in a great 3 Dimensional drawing, you will have all the input you need to create a great play structure for your kids. After many years of design new play area for domestic and abroad clients, we know how to bring Childers dream come to real, for community, school or even your backyard. Our play structure always the center of fun for your little angel.